She is understood to be reporting to the general manager of Mitsui’s India legal division, Takaaki Oki, who is heading a small legal team from Delhi. Oki, a 1996 Kyoto University law graduate with a 2005 LLM from Boston University, has been at Mitsui since 2006, in a variety of roles. Mitsui is one of Japan and the world’s largest so-called keiretsu conglomerates, operating in a variety of sectors and services, including financial services, real estate, shipping, food and beverages, including alcohol, and industrial machinery. It is a return to the Japanese industrial giant for her, having been on a one-year secondment at Mitsui’s Tokyo office from 2017 until July 2018, while she had been a principal associate at Shardul Amarchand Mangaldas. The 2007-NLIU Bhopal graduate had joined Link Legal as an associate partner shortly after she returned from Japan, in October 2018. 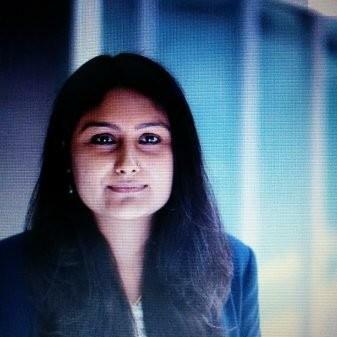 She had worked at Khaitan & Co from 2009, after an LLM from Cambridge University before moving to Shardul Amarchand precursor Amarchand Mangaldas in 2013. She had also had a stint with the National Institute of Public Finance and Policy in Delhi in 2012. We have reached out to Singh and Link Legal for comment. She has joined Mitsui again on secondment from Link Legal to Mitsui? The headline is so unclear! Really bad english. Reprise means repeat, she isn't repeating her secondment!! The quest to be cool is killing the language Kian. Has she left Link Legal to join Mitsui, or is she on secondment to Mitsui from Link Legal? Why so complex? Simplify karo yaar.